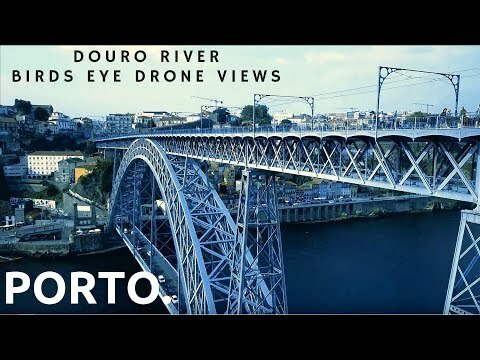 The Dom Luís I Bridge (Portuguese: Ponte de Dom Luís I), or Luís I Bridge, is a double-deck metal arch bridge that spans the River Douro between the cities of Porto and Vila Nova de Gaia in Portugal. At its construction, its 172 metres (564 ft) span was the longest of its type in the world. It has been confused with the nearby Maria Pia Bridge, a railway bridge that was built 9 years earlier (and located 1 kilometre (0.62 mi) to the east), that is similar in aspect to the Luís I bridge. In 1879, Gustave Eiffel presented a project to construct a new bridge over the Douro, with a single deck in order to facilitate navigation. This project was rejected due to dramatic growth of the urban population, which required a re-thinking of the limits of a single-deck platform.